It is no secret that Vladimir Putin’s regime shares many qualities to that of the Nazi regime: He is known to jail those who speak out against him in barbaric conditions, carry out ethnic cleansing campaigns of the populations in the Caucasus and more recently, annex territories that do not belong to Russia based upon past border history that no longer applies. 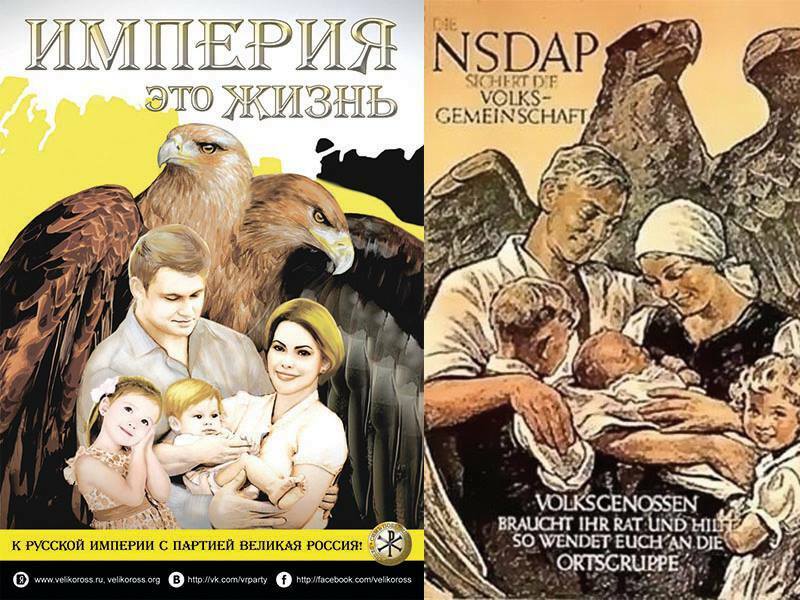 A picture taken on the Moscow Metro 16.3.2014 and a Nazi Party (NSDAP) propaganda poster from the 1940’s. This entry was posted in Body of Truth Material and tagged Fascist Russia, Nazi Propaganda, Putin, Putin is a Nazi, Putin Nazism, Russia anti Gay, Russian Nazis, Russian propaganda, The Nazi Party. Bookmark the permalink.